A millennial behind the counter of a fast food restaurant is no surprising sight: young people make up a significant serving of the food-service workforce. But, thanks to a new program being rolled out by A&W, the Gen Y member doing the accounts in the back on your next visit to the burger chain could actually own the place. A&W’s Urban Franchise Program aims to enrol 25 millennial owner-operators by 2020 by reducing the initial investment required (from around a million dollars to $125,000–150,000) and providing enrolees with a structured training program. A&W will pick up most of the costs of building the physical location, and the revenue split will reflect the capital ratio accordingly. The program will debut in Toronto, and is built around the chain’s urban concept restaurants, which are typically located in downtown areas with high foot-traffic. 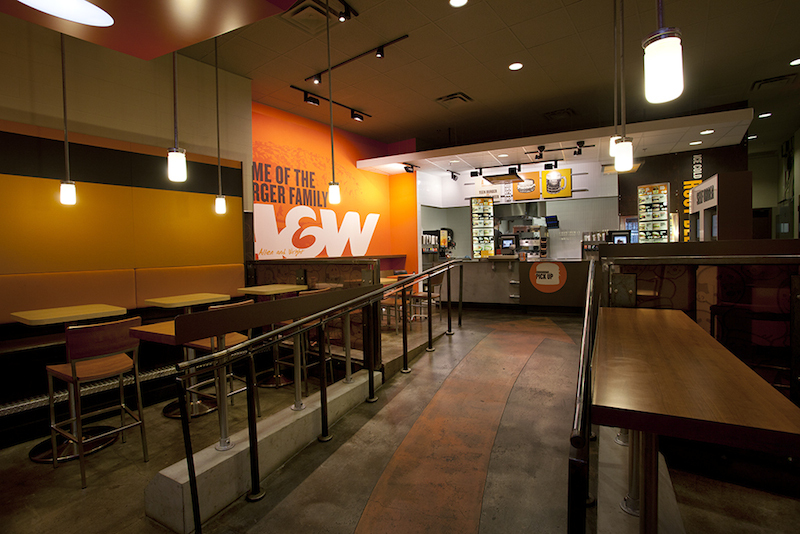 At A&W’s Yonge St. location, president and COO Susan Senecal discussed the program and what the company hopes millennial franchise owners will bring to their orange tables. How did the program get underway? We noticed that urban concept locations that had operators or managers who looked a lot like our urban guests were highly successful, and that we were learning a lot from those operators. So we started to think about how we could have more of those kinds of operators as franchisees for A&W—what might be in the way, whether there was interest, and so on. It was very intriguing to us to find out just how entrepreneurial this generation is. It’s quite different from the general population in terms of the interest, but at the same time I think people are not sure whether they really can do it. What gets in the way is usually business experience and finances—having the capital to invest. We wanted to develop a program that addressed both of those, by delivering a training and work experience program that met the needs of the millennial franchisee, and an investment formula that gave them a lower hurdle to overcome in terms of the unencumbered equity they would need to invest in the business. How is this different from your regular franchise program? Our traditional franchise model is a business ownership model: they invest their equity and get a return on investment. A lot of our operators open more than one location, they grow it into a big business for themselves. The biggest difference [with the Urban Franchise Associate program] is that A&W builds the restaurant—the franchisee investment is for the equipment package and some of the other startup costs. So the investment is less than half of the unencumbered equity that would be required by a traditional franchise restaurant. Of course, there’s the investment that we make and we have that money coming back to us. But, it’s really a successful formula, and people that we’ve shown it to have been very excited about it. Can you give me an example of what you’ve learned from your younger operators? I think all of us were surprised when we saw the degree to which we’ve had success with that overnight crowd. Since then, we’ve opened all of our urban restaurants 24 hours. That was an insight that came to us through millennial operators at a couple of restaurants that we’ve been able to use, and that other operators have been able to benefit from. What does the training component involve? What we really needed to do is not only teach people about A&W and the operations of the business, but also business skills and what working is in an A&W restaurant. So there’s a formal training component, but there’s also a very structured work experience program where they can earn a salary while they wait for their A&W restaurant to be built. So for six to 12 months, they’ll have real experience in a real restaurant and a training program with structured learning outcomes and coaching, which will really equip them to be successful in their new business. This article originally appeared at CanadianBusiness.com. This story can be found at: http://marketingmag.ca/jobzone-news/why-aw-wants-to-attract-millennial-franchisees-165322.